Is there anyone on the face of the civilized earth who does not recognize that quotation from Martin Luther King’s famous speech? The way I interpret it, Dr. King was pleading for a color-blind society. The way I see it his four children – now adults – live in a nation where skin color may be more important than ever. What concerns me is that instead of moving toward racial equality, the United States has moved toward racial competition, with each ethnic group claiming special rights and privileges. Some Hispanics demand the right to enter and live in America without going through the normal immigration process. Some black youths manage to get into the best colleges without achieving the requisite high school credits. Some whites use their power and wealth to take advantage of the system and oppress other ethnic groups. Racial hatred has reached the point where nooses – the abhorrent symbol of the Klan – are cropping up again. Why am I, a Jamaican native, decrying the condition of American society? The last thing I would want to do is to hurt Ms. Wood’s feelings. And I want her to know that I am deeply sorry if anything I said offended her. My eyes fill with tears when I think of the pain that black South Africans have endured over the years. My blood boils when I recall the injustices of Apartheid and the slaughter of black protesters by South African authorities. Well said, Ms. Wood. Well said! I disagreed with nothing in Ms. Wood’s article. She is not only right but bright! I certainly do not want to add to the racism already rampant (and on the increase?) in this cockeyed world. To me “a man’s a man for all that,” as the Scots poet Robert Burns declared. Perhaps I should have talked about a separate “cultural identity” instead of a separate “race.” But what I was trying to convey was my deep sense of Jamaican-ness, which has nothing to do with the color of my skin, the texture of my hair, or the length of my nose. It has to do with the heart. And my heart goes out to Ms. Wood and all those South Africans who are still striving to wash away the stain of unjust racial branding. Rock on, sister! Rock on! George Graham is a Jamaican-born journalist and author who has worked as a reporter in the Caribbean and North America for more than half a century. He lives in Lakeland, Florida. His books, “Hill-an’-Gully Rider” and “Girlie: A Love Story,” are available at http://stores.lulu.com/georgeg. 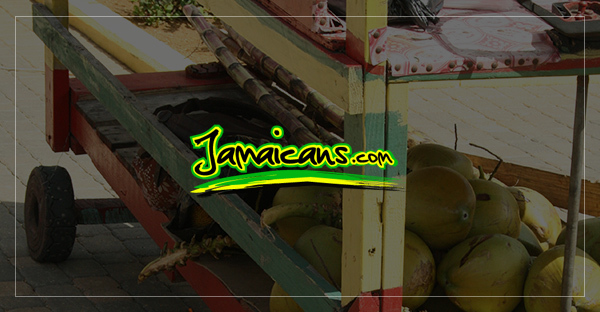 Real Stories…Real Jamaicans…Real Survivors..Meet Chrissy…. Isn’t it time for Jamaicans to stop blaming each other for slavery?